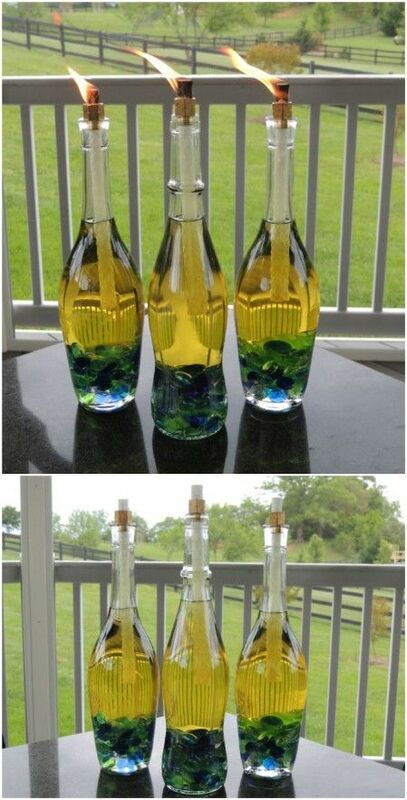 "How to Make a Wine Bottle Tiki Torch If the mosquitos in your area are as bad the ones in ours this summer, try making your own tiki torches out of leftover wine bottles!" Wine Bottle Jug Cloche Cheese Platter. Liquor Bottles Cut Wine Bottles Recycle Wine Bottles Large Wine Bottle Wine Bottle Glasses Recycled Glass Bottles Glass Bottle Crafts Wine Bottle Corks Glass Jug. Wine Bottle Jug... So I�m delighted to share this tutorial with you on how to make tiki torches out of wine bottles. I love how frugal this project is�all you need is some citronella torch fuel, empty wine bottles, wicks, coupling, and thread sealant tape. Make DIY Wine Bottle Tiki Torches and Solar Lights using leftover wine bottles and dollar store solar lights! Start with empty wine bottles, free of any labels. �... 5 aluminum wick holders, great for wine bottles, whiskey bottles and some patron bottles, to create your tiki torch candles. Each aluminum wick holder includes your choice of wick length (from the drop down menu) (round fiberglass wick 1/4) for each wick holder. 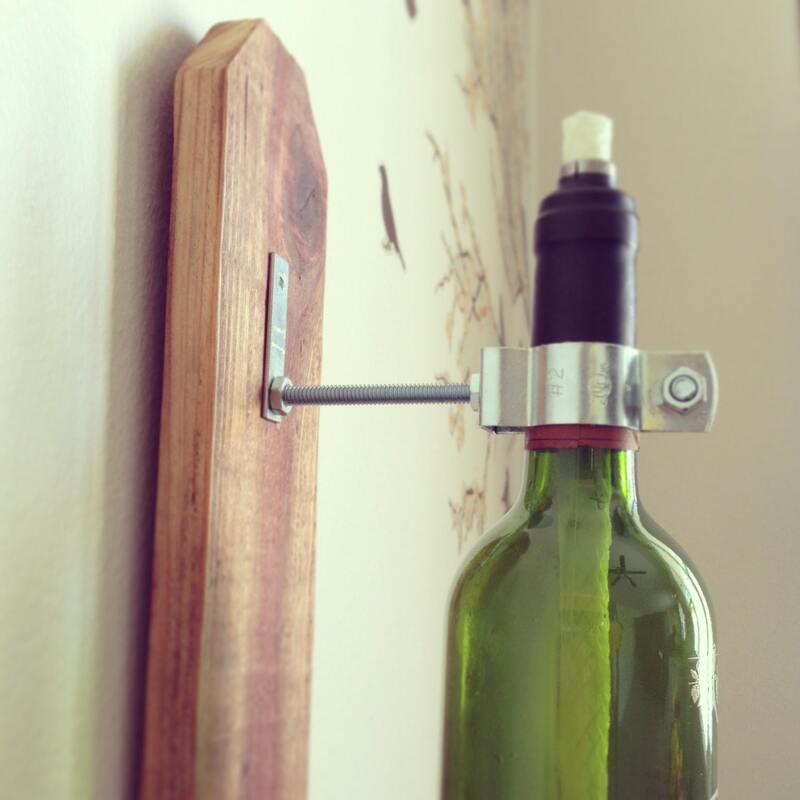 10/11/2011�� Posted by creativelittlebird in DIY Tutorials, Uncategorized and tagged with Bottle, DIY, Entertaining, Fire, Gift, Party, Patio, Recycle, Tiki, Torch, Wine November 10, 2011 You�ll have nothing to �wine� about after seeing these one-of-a-kind Wine Bottle Tiki Torches!... The tiki torch you are about to make also keeps mosquitoes and bugs away. Moreover, it has a quite beautiful look. It�s simple and looks even elegant.To make this tiki torch you will need a few materials. They include 1/2? x 3/8? 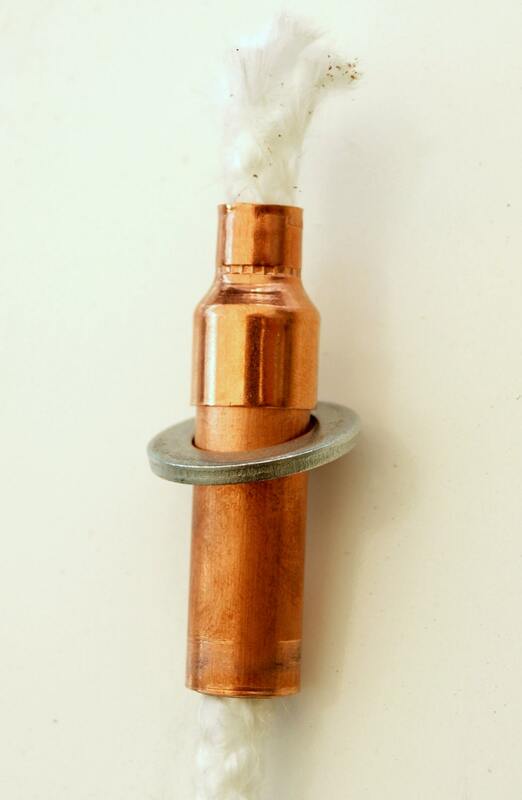 of copper coupling, Tiki replacement wick, nylon thread seal tape and an empty wine bottle or beer bottle. Rachel�s blog documents her adventures through new-homeownership and the projects that go along with that. 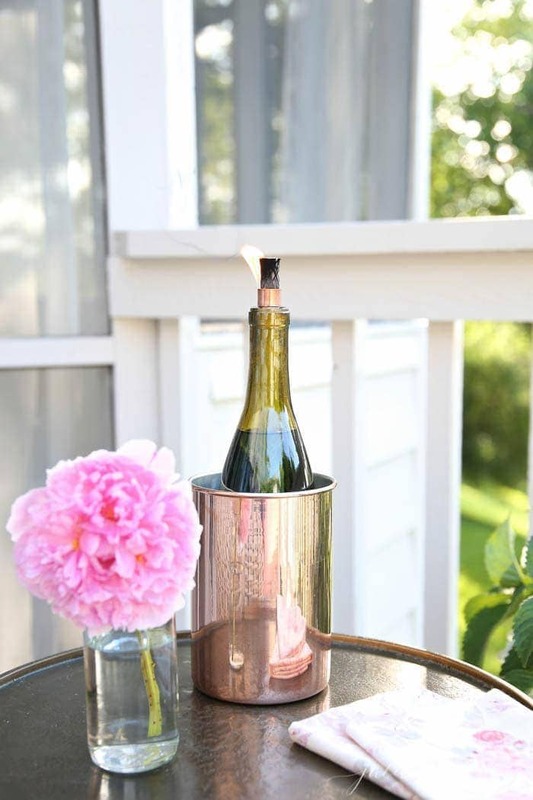 Her latest post details how to make tiki torches out of old wine bottles; a fantastic, easy, and causally-chic addition to any outdoor area!Find the full tutorial on her blog here! Make Unique Decorative Tiki Torches Out of Glass Wine/Beer/Soda/Olive Oil Bottles-Special Wick Holder!